The presentation will analyze barriers to Passive House construction in order to understand the Perceived/Value/Risk Dynamic; Learn from the software industry- Describe 10 steps of integrated project delivery using Agile methods to align values and achieve greater assurance for successful outcomes; Describe how to reduce risk and attract funding using Agile integrated project delivery; and Show how to incorporate innovative financial incentives for new construction projects. Passive House construction will save energy over the long run and provide the comfort and health benefits people want if the initial barriers can be reduced. 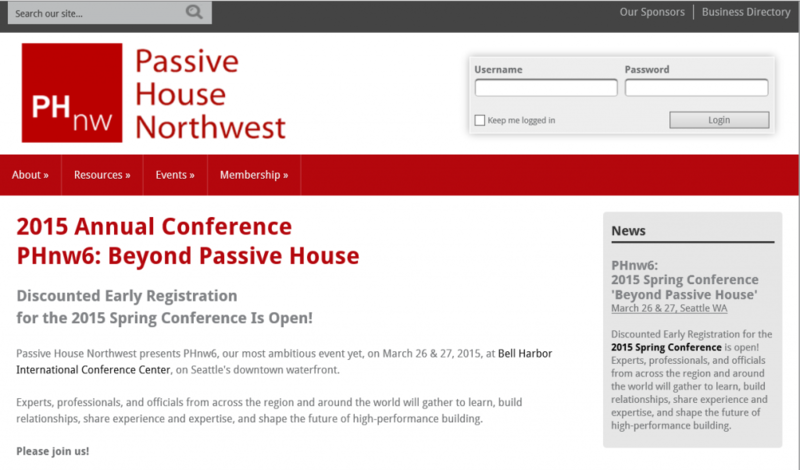 Come join us at the Passive House Northwest Conference to see how this can be accomplished.